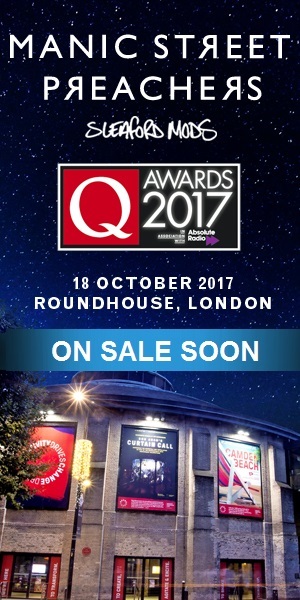 The UK’s Q Magazine has announced that the 27th Q Awards in association with Absolute Radio will take place on October 18, 2017 at Camden’s Roundhouse. Following the massive success of the awards new format in 2016, this year the Q Awards will also feature a very special intimate post-awards gig, allowing Q magazine readers and fans access to the awards as well as the stars themselves. Confirmed to perform are Manic Street Preachers and Sleaford Mods. Tickets to attend just the gig or the full-blown Q Awards and gig are available now via www.Qthemusic.com. Absolute Radio’s Christian O’Connell will return to host the Awards for his fourth consecutive year. Q’s partnership with Absolute Radio will allow the event to reach in excess of 2 million ardent music fans across on air, in print and across digital channels. The Q Awards are proud to announce their continued partnership with Help Musician’s UK, Britian’s leading independent music charity. A number of highly-coveted merit awards will also be bestowed by Q magazine on the night. Designed to recognise career-spanning achievements, these will include the Q Classic Songwriter, the Q Classic Album, the Q Outstanding Contribution To Music, Q Hero and the Q Hall Of Fame. 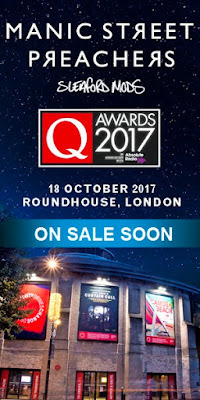 The Q Awards, in association with Absolute Radio, take place on Wednesday 18 October 2017 at Camden’s Roundhouse. Tickets are on-sale now for the Q Awards 2017 and fans can buy tickets now for the full Awards experience including post-awards gig, or just the gig featuring Sleaford Mods and Manic Street Preachers.